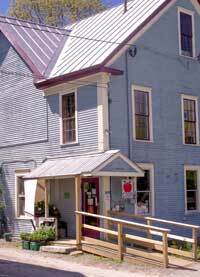 From Montpelier, take Route 2 and head East. When you get to Plainfield, turn right at the Blinking Light onto Main Street. Stay on Main Street, driving past the Positive Pie restaurant. Just before the Firehouse, turn left into the parking lot. Look for the "OPEN" flag on the street. Do I have to be a member to shop at the Co-op? Everyone is welcome to shop at the Co-op. However, members are eligible for an annual dividend as well as voting rights in the organization and special-order privileges. Members purchase shares of the Co-op. A share costs $180, which can be paid in annual payments of $20. You can pay ahead, if you like. A membership is needed for each adult. Do you honor membership in other Co-ops? We have a reciprocal relationship with some Co-ops in the area. 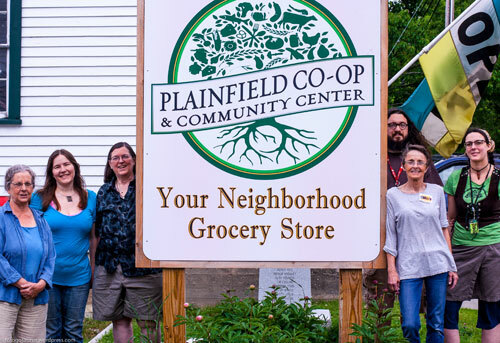 Any purchase made at the Plainfield Co-op will be credited to those Co-ops. Each year, appropriate payments will be made to those Co-op's. Individuals will not receive a direct discount. May I special order items? Absolutely - we love special orders! If you order a case of a product, you will receive a substantial savings over retail. Inquire at the register for details. This is a members-only benefit.